Hotels are greening their policies all over the world. Some do a better job than others. As lodging places realize that they can actually save money by implementing green policies, there will be many more of them. Up to this point you'll find most of the greener options are bed and breakfasts and very small hotels. Chains and corporations are not there yet. AllStays.com added a green rating for hotels many years ago, before it became trendy, to our green hotel guides . What started as a few hundred places around the world is now numbering into the thousands. I'd like to point out just some of the most green lodging options around the western United States. Listed alphabetically by their state. Owners of this bed and breakfast are committed to being eco-friendly. From serving locally grown and organic foods to minimizing energy usage, they have received the local Anchorage Green Star Award. The first hotel to earn LEED-EB Certification, the Ambrose focuses on being green in all areas from energy and water conservation to alternative transportation and organic foods. Intending to be a lodging leader in the area for sustainability, the Briar Rose serves organic breakfasts, uses organic sheets, environmentally friendly cleaning products, recycles, conserves energy and makes every effort to eliminate their trash that is going to landfills. All three of these Santa Fe Inns are committed to using sustainable practices and products in their operations. From no-VOC paints to all natural cleaning products and more. 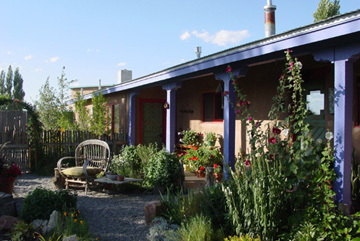 Three adobe guest houses make up Casa Gallina, this charming lodging option just a few minutes from Taos. Optional breakfasts feature local and organic items. The complex uses wind energy credits for power. This small five unit complex is on the ocean in Oregon, 18 miles from the nearest small city. Each unit has a kitchen with organic coffee and eco-friendly cleaning products. The Inn is a unique built from scratch property based on ecological principles, right from it's foundation on top of a hill to take advantage of the breeze. From recycling water to composting, this small inn does whatever it can to put a lighter footprint on Texas. The Alpine House was inspired by the small family operated hotels in the villages in the Alps and Scandinavia but with a Wyoming twist. Green initiatives are many from natural cleaning products to local organic food and recycling. Free bikes are provided for guests to use in the summer. 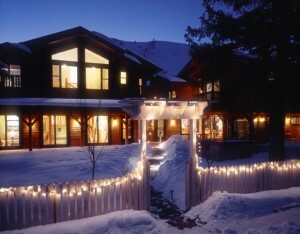 The Alpine House is the first lodging property in the Greater Yellowstone ecosystem to offset 100% of it's power usage with Wyoming Wind Credits.